Today another stray tortoise was found on the Gibauderie in St Peter Port. If you live in the area and missing a tortoise please do get in touch. 'Riley' as staff and volunteers have named the male, adult Herman's tortoise is not chipped and we have had no reports of a missing tortoise. 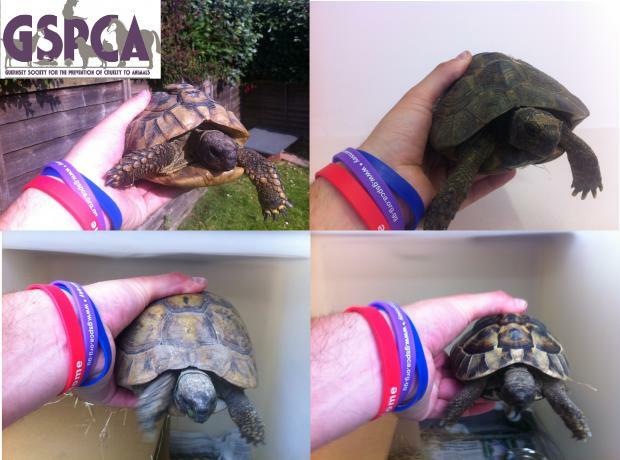 Each year we see around 30 stray tortoise handed into the GSPCA and we find the owners for nearly every one. On Sunday a stray tortoise was found walking down road by Grammar School. 'Terry' as staff and volunteers have named the male, adult Herman's tortoise is not chipped and we have had no reports of a missing tortoise. 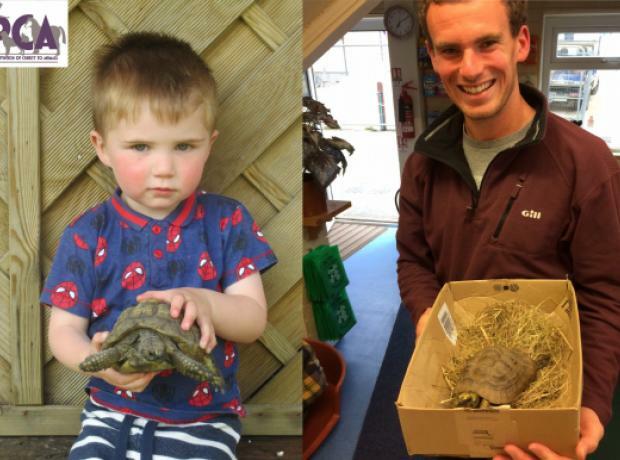 We are always looking for happy endings at the GSPCA and this week we’ve had two tortoise success stories. Last week two stray tortoise were found one near Oatlands and another in St Saviour’s. We advertised them both on our web site and social media and thanks to our facebook page both owners saw their beloved pets and contacted us and were shortly after reunited. Earlier today another stray tortoise was brought into the GSPCA. 'Monroe' as staff and volunteers have named the adult tortoise was found on Oatlands Lane. Monroe has a distinctive white patch on his shell. Each year we see around 30 stray tortoise handed into the GSPCA and we currently have two strays at the Shelter. On site at the GSPCA we have four resident tortoise. Some have found their way to us having been found as strays and others have come in after their owners sadly passing away. Yesterday the last two tortoise were woken up from their hibernation with the warm spell that is due and spring on its way. Hilda our oldest tortoise woke up some weeks ago on the coldest day of the year and decided that her sleep was long enough. Hilda is a 61 year old spur-thighed tortoise and wouldn't go into hibernation until early December.